No business should have to pay for a website – it should attract more than enough customers to pay for itself. Let's face it... traditional advertising just doesn't cut it anymore. With more than 80% of internet users beginning their search for a business or product on the internet today, it's critically important that your website appears as close to the top of the search results as possible. The problem is, you can't just publish your website out in "cyber-space" and expect customers to flock to your website without letting them know your website exists. Someone searching for your product or service through the search engines is the same as a potential customer flipping through the phone book. The main difference is that on the Internet, you're often competing with thousands of other websites for the same hot prospect. HOW CAN OPTIMIZING MY WEBSITE HELP? With Search Engine Optimization (SEO) your website is strategically presented to search engines as the best destination that will satisfy the needs of the person searching the Internet. Optimizing your website is critical if you want to outrank your competition and drive visitors to your website for increased business. 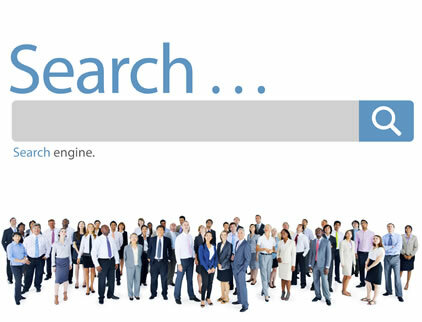 Visitors coming from Search Engines are the highest quality traffic your website can get. People who arrive at your website by typing a keyword on any of the major search engines are typically in "active mode" since they are deliberately searching for what they want at that very moment - increasing the likelihood that they will perform an action on your website. Completion of a form-fill for more information, or quote, etc. ArchiTech's Search Engine Optimization service begins with a complete analysis of your current website, including code issues, broken links, page size and loading times, usability and functionality review. We also identify which keywords to use based on competitive and market research, what type of inbound links to your site will produce the best traffic, and provide you with a detailed ranking report that reveals your website popularity within the major search engines.